Are you passionate about food and prepared to put your thoughts on-line? Then we want to hear from you. We are especially looking for reviewers from outside of Birmingham to join the team to help take our reviews National. There is no magic ingredient to writing a review but we’ve tried to give you some pointers on what to include. If we’ve missed something that you want to write about then just add it as part of your review. We are also looking for writers who can submit non review based content for the site including editorials, feature articles, recipes or multimedia content, if you have an interesting idea for adding value to the site then please do contact us. The one rule we do stick to is that we will only review restaurants that serve a Halal menu and DO NOT SELL ALCOHOL. We are completely open to reviewing Vegetarian and Fish Restaurants as long as they do not sell alcohol. We do require all our reviewers to be completely impartial and neutral as this is vital to the integrity of the website and the review experience. Scores awarded to restaurants need to be reflected in the narrative and the detail of the review. 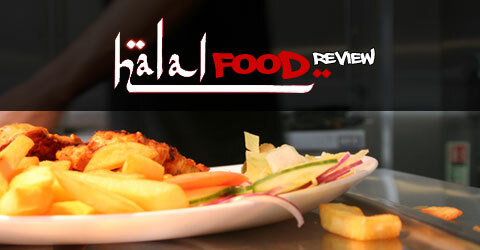 If you would like to be write for the Halal Food Review read our editorial below. One of the most frequent requests we get are from people interested in writing for the Halal Food Review unfortunately on most occasions that initial enthusiasm doesn’t last. We’ve lost track of the number of people who were going to write but for whatever reason were unable to do. It has had a bit of a knock on effect on here too where we have been less than brilliant in terms of getting back to people who do express a genuine interest in writing. So please do accept our apologies if you’ve written to us with an interest in writing for us and then not hearing from us. Alhamdulillah we think we have a solution! Unless a restaurant is trully exceptional or really really bad we don’t tend to see to many scores of 10 or 1. Again we ask our reviewers to ensure the narrative of the review reflects their scoring so if you think it was good tell us what made it good and vice versa if it is poor.Reviews do vary in length but we do encourage our reviewers to cover the criteria listed below. Its not a complete list feel free to adapt but it just gives you an idea of things that interest our readers. How was the foodSummarise the menu, what are the specialities, what did you order? How big were the portion sizes? How do you rate the quality of the food? What were the positives and weaknesses? Are there child friendly options on the menu? Was there ample choice for vegetarians? PricingHow much did your meal cost? How do prices compare to other similar restaurants? Do you think your meal and dining experience offered value for money? What were the prices for drinks? Give us your final thoughts, explain your scores. What were the highlights and the lowlights of your experience? Would you eat there again? Would you recommend the restaurant to friends and family?